Cisco have launched a new guide describing use of their Collaboration Framework, ‘Creating a Collaborative Enterprise’. Cisco explain that their guide / framework respond to the evolution of web 2.0 / social networking and other technologies including multimedia communications, technologies such as virtual workspaces, web conferencing applications, text messaging, Internet phone services. These new technologies are enabling organizations make great changes to more quickly and effectively connect people, information, and knowledge communities. The key outcome is collaboration - the act of people working together to reach a common goal. This is much more than communication. It is the way that all the people in an enterprise function together. Collaboration has always been important in business as it supports knowledge management and also responds to our natural needs, as social animals, to interact with each other. But the new technologies, new pressures on businesses and demands of Gen Y are making it more important than ever. Cisco’s framework is built on these three components. However, although the opportunity is built upon new technology, it is people and process that are the most important parts. This component of the framework focuses on ways to influence people’s attitudes and collaborative behaviours: “what people believe, how they feel about something, and what they think is proper behavior”. New behavioural expectations need to be clearly defined, developed, and incorporated into an organisation’s culture. Employee and workplace, including hiring policies. Collaboration readiness benchmarking and progress tracking. In a collaborative environment, the unit of performance shifts from the individual to the group or team. whereas team systems produce collaboration”). 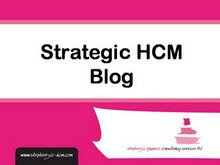 Management models, processes (including governance, decision making, skills cultivation, funding, and operational logistics, with a strong emphasis on review-and-improve cycles) and HR systems need to change to reward and recognise the right behaviours. Systems of accountability and management for group performance. Including wikis, blogs, virtual workspaces, video etc, ideally provided through a single intranet portal (providing individuals with personalisation options to best support their unique needs). or “virtual teaming” modules that can be repurposed for a wide range of business scenarios. Cisco’s framework has clearly been built on the company’s own experience, and that of its partners in its Collaboration Consortium. The company has one primary operations organization for the vast majority of the company, with few divisions or large subsidiaries. Everything must work together as one. The more transparently that happens, the more productively Cisco’s 60,000 employees can work. Cisco has therefore spent the past 8 years moving from a command-and-control operation dominated by competing departments to a widely cross-functional company that uses collaborative councils, boards and working groups which facilitate executive decision-making, create cross functional alignment, and guide business initiatives. (see a previous post of mine that also refers to some of this). participation to 2500 or more employees. “Organizational structures need to reflect collaborative activities. Command-and-control management does not work well with collaboration. Cisco has spent the past 8 years moving from a command-and-control operation dominated by competing departments to a widely cross-functional company that uses collaborative councils, boards, and working groups. These senior leadership teams facilitate executive decision making, create cross-functional alignment, and guide business initiatives. The framework also describes the importance of change management, and Cisco’s own experience of going through their major change process. For example, although Cisco’s CEO, John Chambers knew that he had to sponsor the change, he initially resisted suggestions to blog, recognising that “even for fast typists, written blogs can take a lot of time “ (don’t I know it! ), but later took to video blogging and now often communicates with his employees this way. Guided by the best practices of this framework, Cisco saved US$691 million and increased productivity 4.9 percent in fiscal year 2008. Cisco points out that collaboration takes time and a sustained effort to mature in any organisation. strategic approach to collaboration that can be implemented throughout an entire organisation. The focus is firstly, on taking advantage of the uses of web 2.0 and social networking technologies that are most likely springing up in an organisation (likely perpetrated by younger, Gen Y employees). The key activity is the creation of a ‘Collaboration Vision and Strategy’ which carefully aligns new collaboration efforts with business goals. This allows organisations to identify, prioritise, and sequence the initiatives necessary for establishing new business and management processes. How do you want the organization to change in the next 3 to 5 years? What does the organization need to do to get there? What role can collaboration play in achieving additional levels of process performance? What sequence of activities is needed to build the necessary collaborative capabilities? Develop a community of experts. Consider virtual teaming and collaborative processes. To develop this strategy, an organisation first needs to use social mapping techniques and tools to find out how it collaborates now. Actually, it’s not about taking advantage of technology, it’s all about the organisational change! So, I also like many of the tools included in the framework, particularly C-Change. But I think the need for social norms (common vocabularies, behaviours etc) to support collaboration applies to all organisations, whether or not they are using social technologies. Also, I don’t believe focus should be restricted to ‘collaboration impact zones’. I understand their desire to prioritise, but to get the sorts of benefits Cisco have referred to, I think the whole organisation, and everyone in the organisation needs to change. 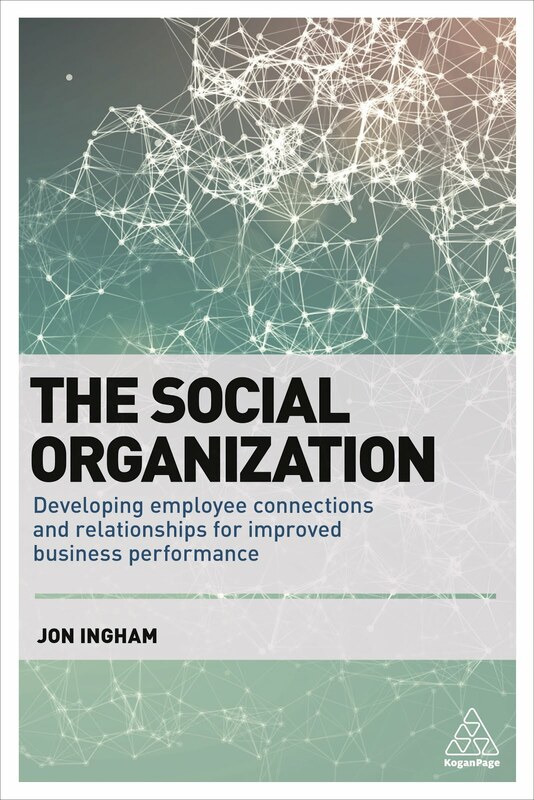 Overall though, I’d agree with Oliver Marks at ZDNet that this is one of the best and useful guides to collaboration that organisations can use to help them gain more value from their people and (supported by web 2.0 technology). The latest round of Reith Lectures are being presented by political philosopher Michael Sandel (apparently inspiration for Montgomery Burns in the Simpsons) and deal with the ‘politics of the common good’. Sandel suggests that we need to develop a better kind of politics less oriented to the pursuit of individual self-interest and based more on deeper moral and spiritual values, and a more demanding idea of what it means to be a citizen. In the first lecture, ‘Markets and Morals’, he deals with the moral limits of markets. There is now widespread recognition that markets have become detached from, and need to be reconnected to, our fundamental values in order to play a role in achieving the public good. Sandel argues that the problem isn’t excess greed within markets, as there is no real difference between this and self-interest and markets have always run on self-interest. So rather that try to rein in greed by shoring up values of responsibility and trust, integrity and fair dealing, we simply need to re-think the reach of markets into spheres of life where they don’t belong – where we are dealing with things that money can’t buy and other things that money can buy but shouldn’t. This includes things like or profit schools, hospitals and prisons; the outsourcing of war to private military contractors and the replacement of public police forces by private security firms. But these pseudo markets don’t always work. I think Sandel makes some very sound and well argued points and perhaps the one disagreement I have with him is over the scope of his argument. He proposes that we need to think about limiting the application of markets, eg to health, education, national defence, criminal justice, environmental protection and so on - to guard against our market economies becoming market societies (although he does say that he wants all markets to be answerable to ethical principles and to principles of social justice). I think we also need to consider the utility of real markets (eg to employment). For example, Sandel’s arguments seem to me to help explain the recent public reaction to bankers’ bonuses as well as previously topical debates about non-doms etc. These debates don’t just involve economic questions, they consist of social or political ones as well. Yes, we want an economy where entrepreneurship and enterprise are valued, but we also recognise that too much inequality is not an outcome that we want. We’re happy to see people paid high rewards where these reflect real success, and where we can see that these rewards will ‘trickle down’ to the rest of the economy as well. But when these people complain that they’ll leave the country when a 50% tax rate is introduced, or their non-UK income will become assessable for tax, it shows that they don’t share any ownership for the ‘common good’. And I think it is then that the general population responds that it doesn’t want people rewarded in this way. The economic argument no longer covers the moral compromise. So there are “perils in reducing moral considerations to economic ones” within markets as well.